Alberta is the western most "prairie province". It also happens to be where my family and I live. Edmonton is the capital city. Alberta became a province of Canada in 1905. 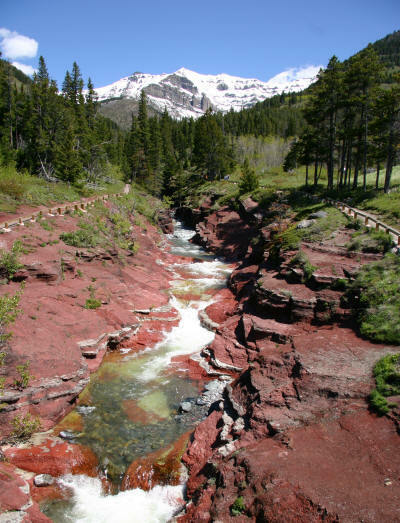 The Rocky Mountains run down the border of Alberta and British Columbia and extend into the United States. Check out our brief photo tour of Alberta if you'd like to see more of the scenery of the province or if you need photos for a school project. 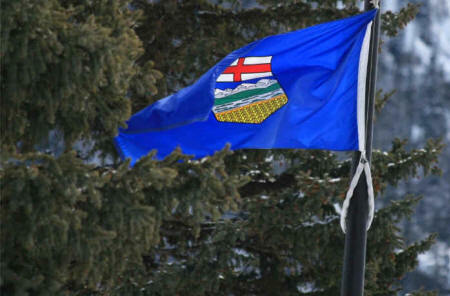 The Alberta provincial flag was adopted on June 1, 1968. It depicts the provincial shield in the center of a blue background. From top to bottom, the shield shows St. George's Cross, blue sky, snow-capped mountains, green hills, prairie and wheat sheaves at the very bottom. 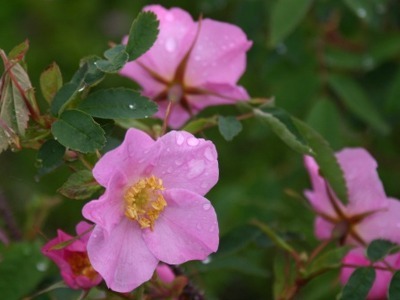 The wild rose was declared Alberta's provincial flower in 1930. The wild rose is easily found in the province, even in some of the more natural areas inside its cities. The Great Horned Owl was adopted as Alberta's provincial bird on May 3, 1977, by a province wide children's vote. It is one of Canada's most common birds of prey (raptors) and lives in Alberta year round. This owl hunts only at night and is most easily identified by its large size and feathery ear tufts (horns). Most Great Horned Owls mate for life laying 1 to 5 eggs each year well before the snow melts.